A few nights ago Keely exited to the boat to venture up to the ladies room. She left quickly, shutting the door behind her to keep the mosquitoes and no-see-ums at bay. Rover began barking in alarm. He was not pleased. I tried to reason with him. “Keely will be back soon to take you for your evening stroll,” I said soothingly. He wasn’t buying it. Its beady little eyes peered straight into my soul as we both froze, unsure what to do next. Rover made his move. He flew past me as I lunged for the safety of the door. Under the table he went, his terrier instincts driving him to flush the animal out of hiding. 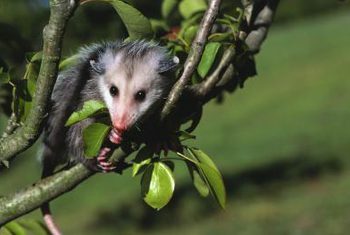 The possum bolted onto the deck, off the boat, across the dock and into the water with Rover on his tail. Rover spent a good twenty minutes covering every inch of the deck, looking under every cushion, sniffing around the bikes, patrolling the fore-deck and the surrounding dock to make sure Mr. Beady Eyes didn’t return or leave behind any friends. He was a good dog. Yesterday he celebrated. 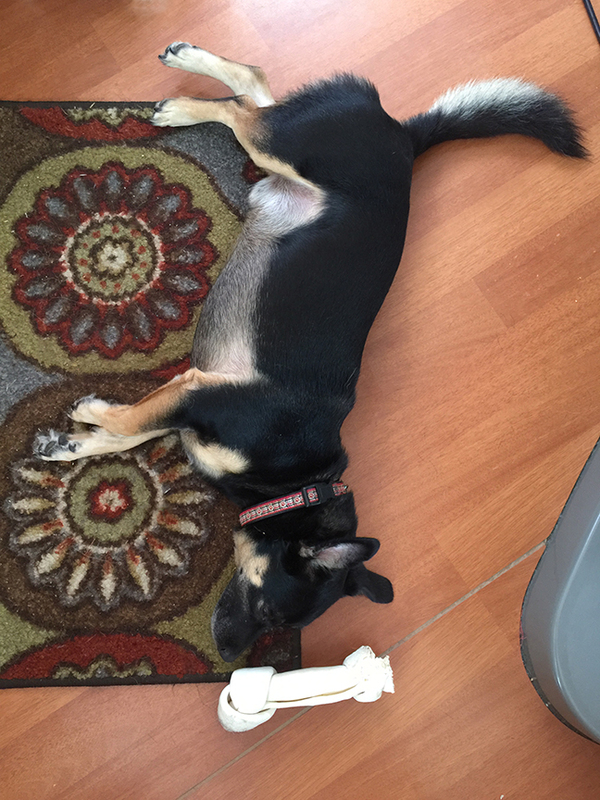 Rover resting next to his new rawhide bone after a celebratory chew. This entry was posted in Boat Dog, daily life on March 27, 2018 by Caroline Spott. Today was winch maintenance day. India took pictures as I dismantled the winch. 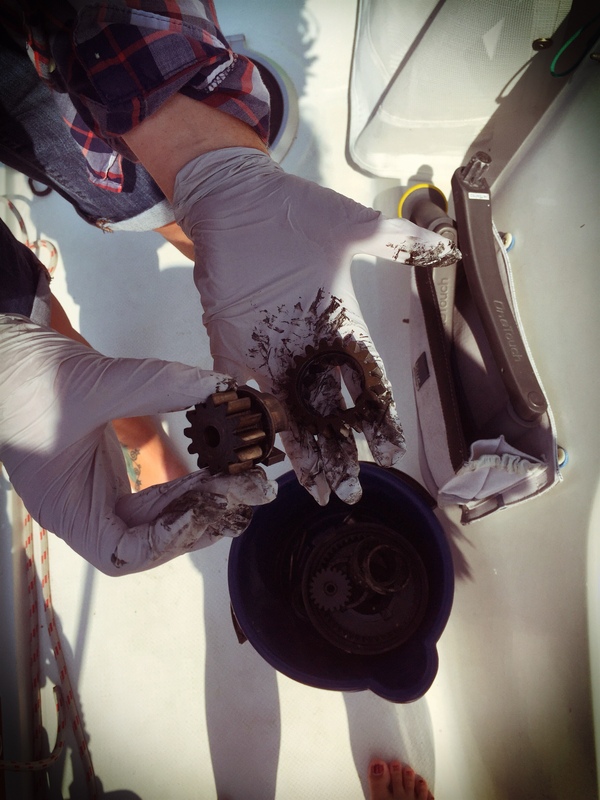 The next step was cleaning all the separate gears, springs and pawls followed by a fresh coat of grease and pawl oil. New tender or life raft? India says no. The rest of us say yes as long as we get an air compressor. This entry was posted in Uncategorized on March 14, 2018 by Ryan Spott. Ryan brought to my attention he was the only one posting anything new on the blog. I admit I taken to brief updates on Facebook and Instagram and have been largely ignoring this blog. There are several posts which I have started but get overwhelmed quickly when looking at all the events that have transpired and places we have been between now and my last post. 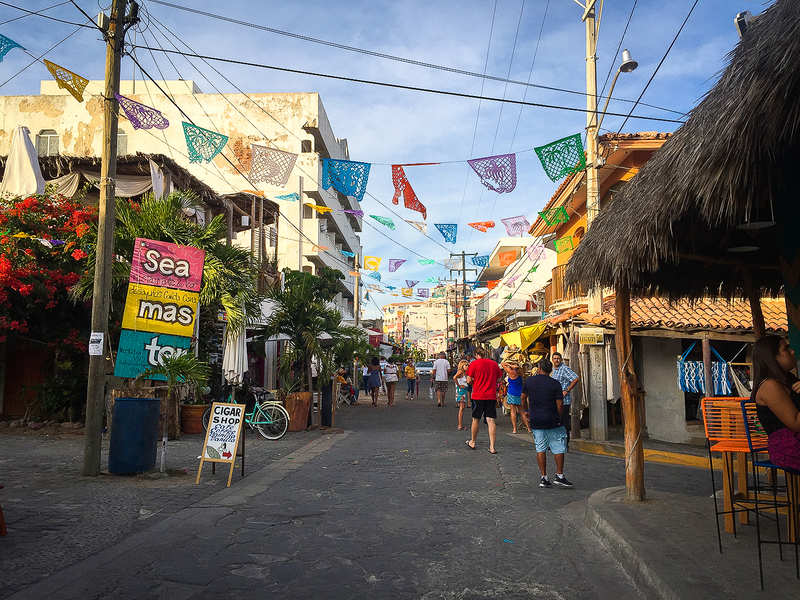 We left La Paz on December 1st and have since traveled to Bahia de Los Muertos, Mazatlan, Isla Isabela, Matanchen, San Blas, La Cruz, Nuevo Vallarta, Yelapa, Puerto Vallarta, Chamela, Tenacatita, Barra de Navidad, Zihuatanejo, Acapulco, Huatulco and Puerto Madero. This equals approximately 1400 nautical miles of travel with a few stops of several weeks in between. Between La Paz and Puerto Vallarta we were surrounded by friends. 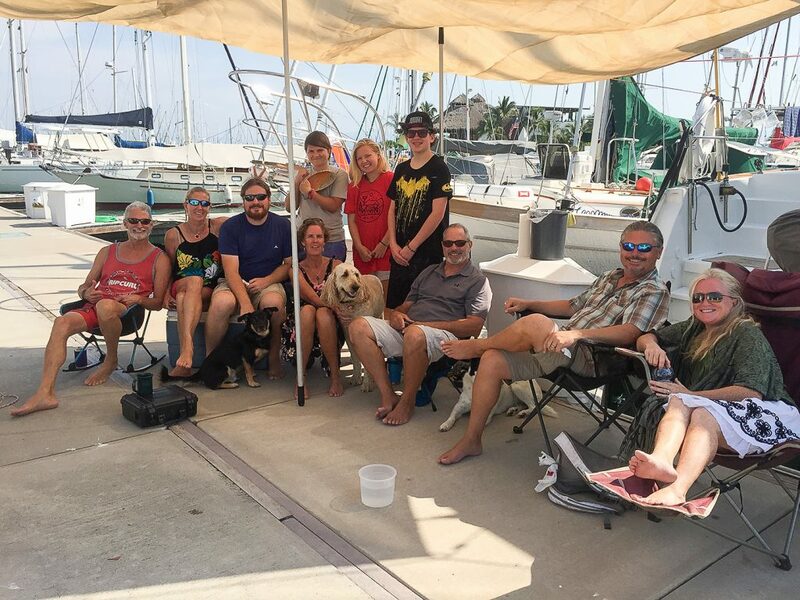 For Christmas, we had a potluck on the dock in Puerto Vallarta. One New Year’s Eve there was a spectacular firework’s display on the beach at Paradise Village in Nuevo Vallarta. Friends came to visit us from Seattle and Keely’s parents spent some time in Zihuatanejo. 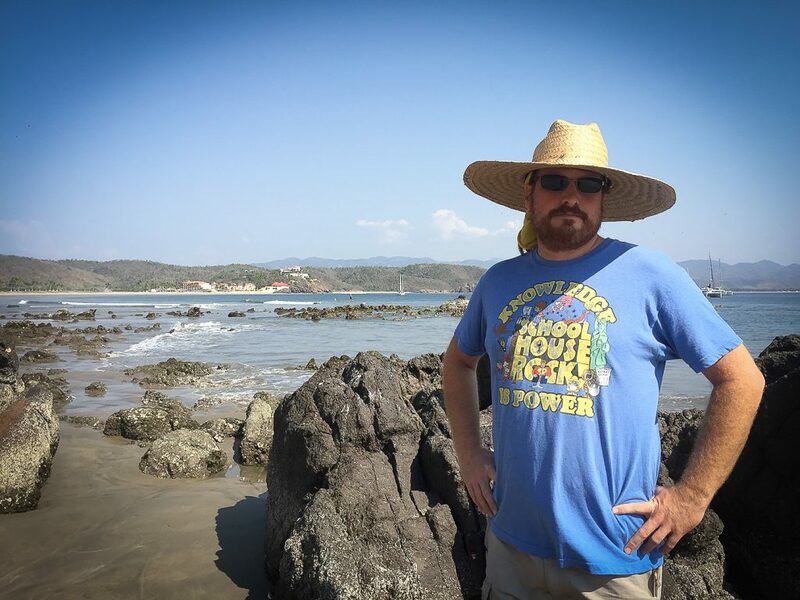 Ryan traveled for work when we were in Nuevo Vallarta, Barra de Navidad and Zihuatanejo. In Nuevo Vallarta we started having to say goodbye to friends as everyone started to head their separate ways. Wednesday morning we made it to Puerto Madero and tied to the dock in Marina Chiapas. This is the last port in Mexico. We arrived at 1:30AM after an uneventful Tehuantepec crossing. In Mexico this is the most formal port we have entered. We had to hail the Port Captain to enter the port and were met at the marina for help to our slip. The marina called the Navy who showed up at 7:30AM to inspect the boat. For the first time, we were boarded. The check in went quickly. They asked for all of the usual paperwork and sent a drug dog around for a quick sniff. Next week Ryan has to go north again. When he gets back we are planning on doing a brief land trip to Guatemala. There are many boats ahead of us in the Panama Posse and a few behind us. We are hoping some friends will catch up to us soon. 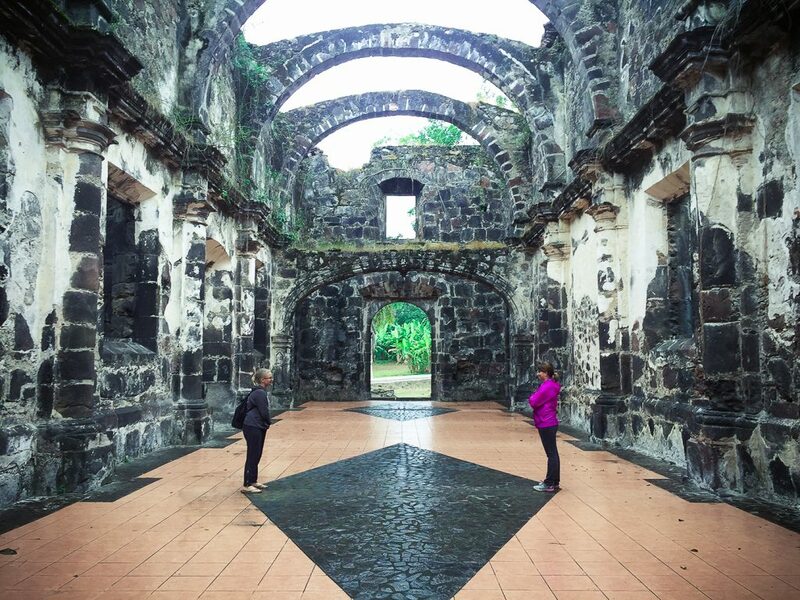 India and Keely standing in the ruins of the church made famous by Longfellow’s poem, The Bells of San Blas. Mai Tai, Three Quarter Time and Waponi Woo on the dock in La Cruz for our Christmas potluck. Ryan on the beach in Tenacatita. The main street in Barra de Navidad. This is a pretty typical street in the smaller towns. This entry was posted in Uncategorized on March 11, 2018 by Caroline Spott.